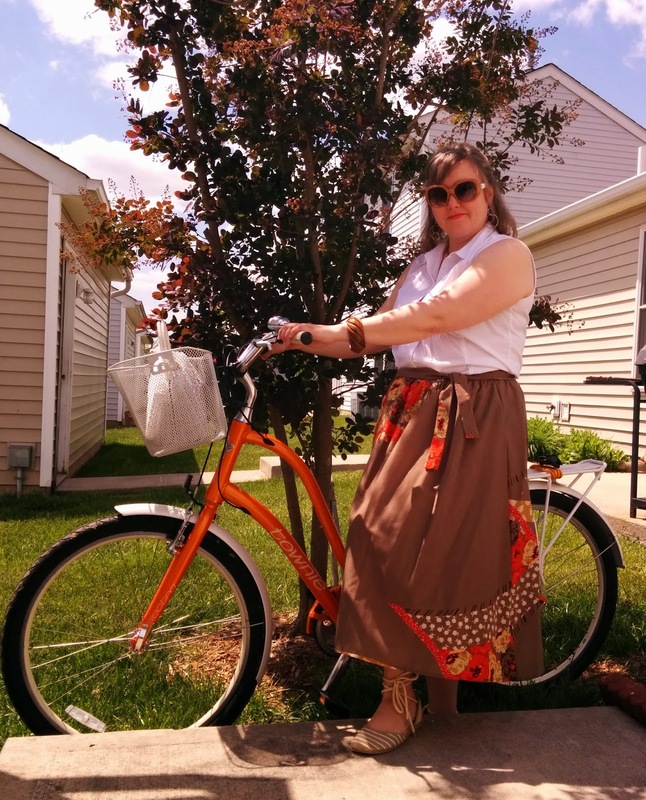 Susie Qute: "Craft Bomb Your Bike" Now Available! I love my orange Electra bike but think it needs a bit of personality. 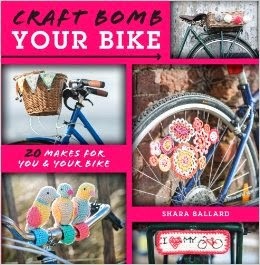 I'm already feeling inspired by "Craft Bomb Your Bike: 25 Makes for You and Your Bike" by Shara Ballard, even though I haven't gotten to see the whole book yet. It's available for just $18.49 here on Amazon. The birds, buntings, and floral motifs featured on the cover could easily be used for many other projects, so think outside the bike whenever you look at a craft project or pattern. A red bunting could be used on a bike in the summer and as part of a holiday display indoors or out in the winter. I don't normally buy books since our home is very small, but the sneak peek I had of this one makes me want it in my crafty library. I can imagine aqua crocheted accents on the basket, seat, handlebars...everywhere! Of course I'll need to get working on my boring white helmet, too. Some books are irresistible - I am so glad that you like it. Love Kate (from greedy for colour) xxooxx. Thanks for visiting my blog, Kate! To my other readers, Kate contributed to the above mentioned book, which is fantastic, and you can find more of her projects at http://greedyforcolour.blogspot.com/.